Tucked between the nations of China and Russia is the country of Mongolia, possibly best known for its history and specifically Genghis Khan. Today, Mongolia is a gorgeous country with iconic mountains, huge expanses of rugged land, a fascinating history, and a culture of nomadic people. 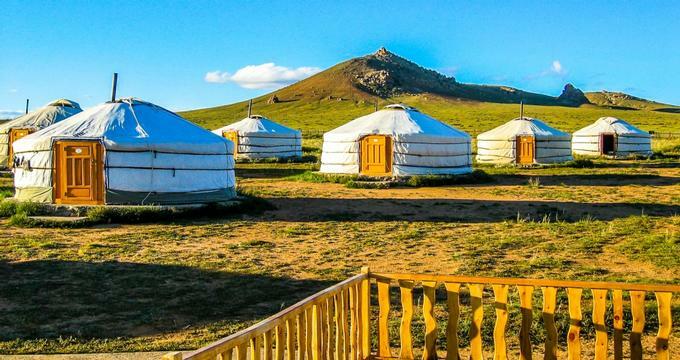 For visitors, Mongolia is a place to visit ancient Buddhist temples and Shaman shrines, go camping in a traditional Mongolian ger, find prehistoric rock paintings in caves beneath mountains, and discover the last remaining species of wild horses in the world. This beautiful country, and all the fascinating places within it, is something no traveler should miss. 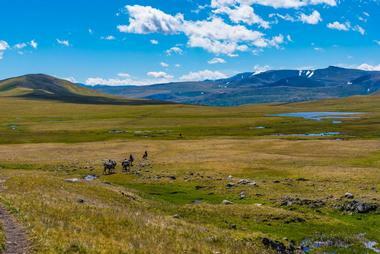 Altai Tavan Bogd National Park is located in the remote wilderness of Mongolia’s western border. It is named for the giant and imposing Tavan Bogd mountains, which tower over the park like a scenic backdrop. In the northern part of the park, visitors can see the Tsagaan Salaa rock paintings, which number over ten thousand and date back to the Neolithic and Bronze ages. There is also ample opportunity for hiking and wildlife viewing in Altai Tavan Bogd National Park, as it is a haven for many Mongolian animals, including ibex, Argali sheep, moose, beech marten, and golden eagles. 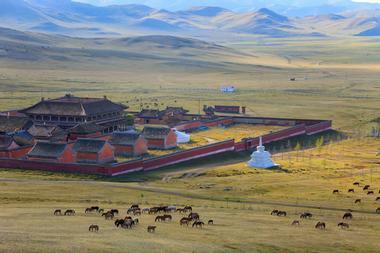 This monastery is one of the largest and most prominent in Mongolia, and it is a must-see in northern Mongolia. Built in the 18th century and containing over forty temples, this monastery is gorgeous both inside and out, as it was built in a Chinese architectural style and restored by UNESCO after it was partially destroyed by communists in the 1930s. At the Amarbayasgalant Monastery, visitors can tour the grounds and temples to see artifacts from the monastery, learn about the history behind this beautiful place, and to get a glimpse of a place that is incredibly unique in Mongolia. Baga Gazriin Chuluu is an area of unique rock formations, the largest of which is over 15 km long. Visitors to Baga Gariin Chuluu can hike and scramble over the rocks for a great view of the area or seek out the mystic healing powers of a freshwater spring, which according to legend will cure blindness. There is also Bolort Cave, which is filled with beautiful crystal rock formations and stone paintings and the ruins of a Buddhist temple from the 18th century. Baga Gazriin Chuluu is a great place to see some amazing wildlife as well, from medicinal herbs to animals like marmot and ibex. This square, located in the center of Ulaanbaatar, commemorates Damdin Sükhbaatar, who declared independence for Mongolia from China in 1921. The square continued to play a part in Mongolian history in 1990, when it was the site of several very large anti-communism protests. 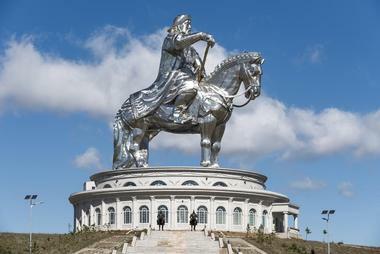 A statue of the Sükhbaatar, the “hero of the revolution,” stands in the center of the square, and at the north end, a huge marble construction houses a bronze statue of Genghis Khan. 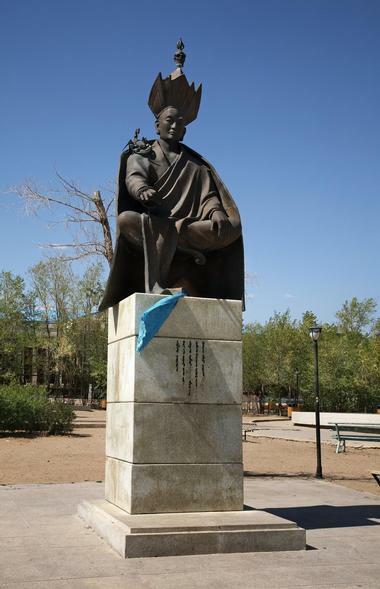 In 2013, Sükhbaatar Square was renamed Chinggis Khan Square, but the descendants of Damdin Sükhbaatar went to court over the matter, and in 2016, the name of the square was changed back to the original. 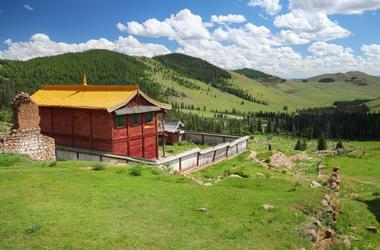 The Danzanravjaa Museum commemorates one of the most revered monks in Mongolian history, Dulduityn Danzanravjaa. In this museum, visitors will learn about the life of this legendary monk and poet, as well as the contributions he made to art, science, and social rights in the 19th century. Also on display are some of Danzanravjaa’s most prized possessions, including a flute made from a human femur and several cups and a drum made from human skulls. These artifacts and many more were safeguarded over the years, and during the communist purge of the 1930s, they were buried deep in the desert to escape destruction. In 1990, a real life treasure hunt for the crates began, and when they were found, they created the basis for this fascinating museum. The name Erdene Zuu translates to “100 Treasures,” a name that refers to the many temples and stupas that originally surrounded this monastery. Erdene Zuu is thought to date back at least to the 16th century, perhaps further, and it is the oldest monastery in Mongolia that is still standing today. Although much of it was destroyed in the 1930s, and its inhabitants murdered or imprisoned several of the central temples of Erdene Zuu were kept standing to serve as a museum for important visitors like former US Vice President Harry Wallace. Today, the site is a monastery again, although it is also still a museum, and the lamas who live there hope one day to return it to its former glory. 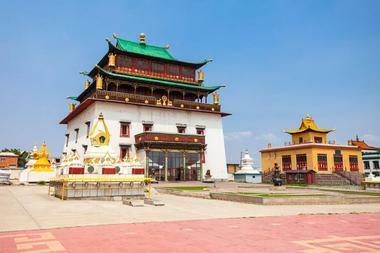 With austere white walls, red windows, and colorful green roofs, the Gandantegchinlen Monastery is a beautiful and popular destination in the city of Ulaanbaatar. Originally built in the 19th century, Gandantegchinlen Monastery was one of only a handful that was not completely destroyed in the communist purge of the 1930s. It remained on display as a “show monastery” for foreigners and visiting dignitaries who wished to see a monastery, until it became a practicing house of worship again in 1990. Today, visitors can explore the monastery and visit the immense statue of Migjid Janraisig, a Buddhist deity. Genghis Khan is perhaps the most illustrious Mongolian figure in history. His long and bloody reign resulted in the deaths of over 40 million people, and it is estimated that one in 200 people in the entire world are descended from him. To the Mongolian people, Khan represents a glorious part of their history, a figure who placed them all on the world map as a force to be reckoned with. About 50 kilometers from Ulaanbaatar, a huge statue of Genghis Khan astride his horse was erected, where it stands at 40 meters high. It’s the largest equestrian statue in the world, and at its base, visitors can find museums, view Mongolian portraits, and even try on traditional Mongolian garb. 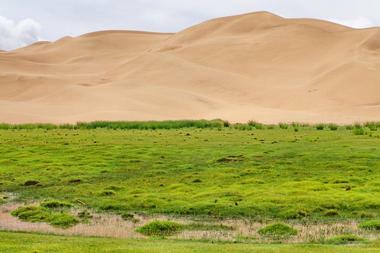 Gobi Gurvansaikhan National Park is a famous park in Mongolia that is named for three of the four ridges found within. Its iconic sand dunes, known as Khongoryn Els, are huge and picturesque, and they are a definite must-see on any trip to the park. Most visitors only manage to see a mere fragment of the giant park, but those who have some time to spend will be able to delve deeper into the beautiful and remote caves, mountains, and sand dunes. Some parts, particularly the western area, are so desolate that even standing in that nature feels like being on a different planet entirely. One of the most popular tourist destinations in Mongolia, Gorkhi-Terelj National Park is located an easy 80 km from Ulaanbaatar and is home to some beautiful mountains, streams, and meadows. 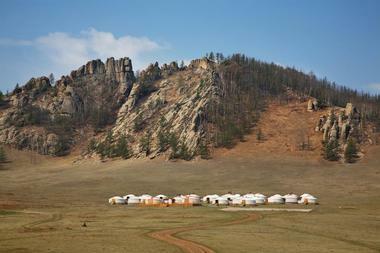 Visitors to Gorkhi-Terelj can hike or ride horses to some truly picturesque spots like Turtle Rock, cross a precarious suspension bridge to find an elusive temple, pose for a photo with a real eagle, and stay overnight in an authentic Mongolian ger, complete with traditional music and food. Although the park is incredibly popular, visitors to Gorkhi-Terelj will be amazed at the tranquility that can be found within its bounds. Although Gun Galuut Natural Reserve is not the largest park on this list, it is unique in that it contains so many well-preserved and distinct ecosystems. Within its bounds are wetlands, steppes, high mountains, rivers, and lakes, all of which are carefully conserved to keep them in their natural conditions. This natural paradise is home to many rare species of animals and birds, some of which are nationally and globally endangered, including the grey wolf, marmot, Hooded Crane, wild mountain sheep, and the Eurasian Penduline, among many others. Gun Galuut offers a great opportunity for hiking, bird watching, cycling, or horseback riding through the beautiful natural scenery. 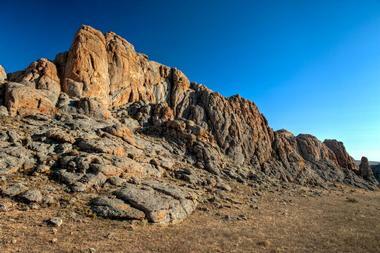 Lovers of art, history, and nature will be awed by the Gurvan Tsenkher Cave in the Khovd Province of Mongolia. On this site, rock paintings on the cave walls date back 15,000 to 20,000 years ago, from the Paleolithic period of history. 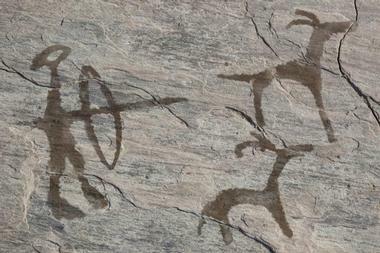 The cave art depicts symbols of nature, including trees and animals such as oxen, elephants, stags, and ostriches. The paintings in the cave are similar to other Paleolithic drawings found worldwide but are unique in that they are the only ones of their kind that have been discovered in Mongolia. 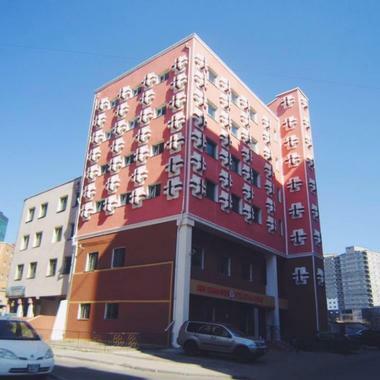 The International Intellectual and Puzzle Museum was created by Mongolian inventor Tumen Ulzii, who is known for creating logic puzzles and games for Mongolian youths. Inside the museum, visitors can see thousands of games and puzzles that are traditional to Mongolia and its culture, including some invented by Ulzii himself. Guests can view and even play with Mongolian chess sets, traditional burr puzzles that vary from six pieces up to 350, and even a puzzle that offers a prize of $100,000 if a guest can solve it within a given timeframe. 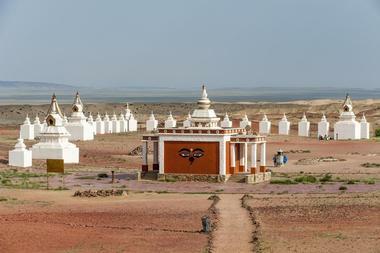 Khamriin Khiid, located in the Gobi Desert, is a monastery complex that was built in the 19th century, and according to Mongolian Buddhists, it is located in the very center of all the spiritual energy in the world. Like many other monasteries in Mongolia, Khamriin Khiid was destroyed during the communist purge in 1937 but was rebuilt in 1990. Visitors to Khamriin Khiid can arrive at dawn with hundreds of worshippers and pilgrims for a taste of the spiritual energy that they believe is strongest at the birth of each new day, and experience the warmth of the Shambala at the center of the complex. This natural reserve is named for the mountain Khogno Khan, a sacred mountain of granite, that lies within the bounds of this 181 square mile park. The sight of the rocky mountain protruding from the desert grasslands at its base is a breathtaking one, and hikers will enjoy a number of short hikes in the reserve, including ones over rocks and boulders and up to the summit of the mountain. There are also several old Buddhist temples in the reserve that are accessible for exploration, including several old ruins and also some active temples as well. 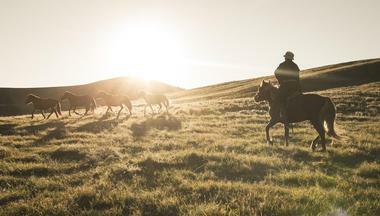 Khustain-Nuruu National Park is about 60 miles west of Ulaanbaatar, and it is home to the takhi, an endangered subspecies of wild horse. These stout, sandy colored horses are the only truly wild horses left in existence, and they were once extinct in the wild, their numbers diminished down to an astonishing thirteen, until scientists and conservationists made efforts to save the species and increase the population. In the 1990s, they were reintroduced to Khustain-Nuruu National Park and now there are over 1,500 of them roaming the hills and steppes. Besides these remarkable horses, there is an abundance of other wildlife within the park, including gazelles, grey wolves, and the Eurasian lynx. Near the Mongolian border with Russia at the base of the Sayan Mountains is Khuvsgul Lake, a 136 kilometer long lake that contains approximately 70% of the fresh water in Mongolia. 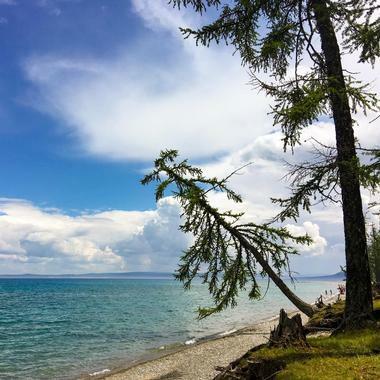 It is the second largest lake in Asia by volume, and it is the titular feature of Khuvsgul Lake National Park, which also includes the surrounding mountains and forests. 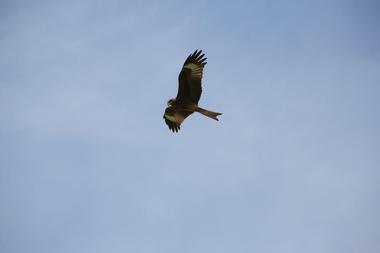 The area is packed with wildlife, including bear, ibex, wolverines, and moose, and the lake itself is full of sturgeon, Siberian grayling, and lenok, among other species. The lake and the park are a haven for fishing and nature enthusiasts, and the beautiful vistas of the mountains reflected in the waters of the lake are not to be missed. 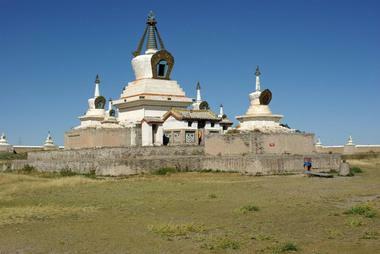 The imposing ruins of Manzushir Monastery lie just an hour’s drive south of the capital city of Ulaanbaatar. Built in the 18th century by Buddhist monks, the monastery was destroyed in 1937 by communists, and today the ruins of this large stone temple stand within a forest of birch trees like a scene from a fantasy movie. Visitors to the Monastery can wander amongst the remains of the stone building to find paintings and carvings of Buddhist deities, a huge bronze cauldron that dates back to the 18th century, and see the way that nature has reclaimed this beautiful place. The Ongi Monastery refers to two monasteries on opposite banks of the Ongi River, which stretches for over four hundred kilometers throughout the country. The monasteries are home to many ruined temples, one of which was once one of the largest in Mongolia. Originally built in the 17th century, these monasteries were destroyed by communists in the 20th century, although since the 1990s, efforts have been made to rebuild and restore the Buddhist communities in the area. Today, visitors can see the rebuilt temple and explore two small museums that contain artifacts from the original structures. 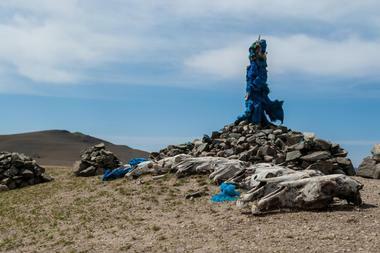 An Ovoo is a towering pile of stones traditionally made by Shamans, which are found on many Mongolian mountains. The Ovoos-At-Terhiin Tsagaan Lake create an unearthly skyline over the White Lake, named for the snow that lies on its surface for most of the year in this cold and remote place. The many Ovoos are made of black volcanic rock, and according to tradition, visitors must circle the Ovoos three times and then add a rock of their own to the top of the structure. Tsagaan Lake is a beautiful place, situated over a mile above sea level, and the sight of these rock structures on its northeast shores is an unforgettable one. 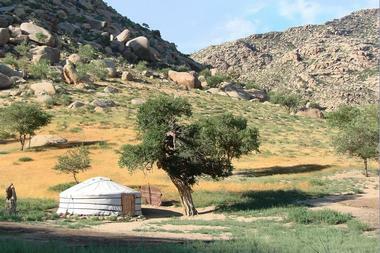 A shrine to worshipers of the Shaman religion, The Mother Tree, or Eej Mod, is located in northern Mongolia. Once an actual tree that was struck by lightning until a fire in 2015 burned it nearly to the ground, the shrine now consists of a ceremonial stump where the tree once stood, a “ger” (yurt), and all the offerings left by Shamans. 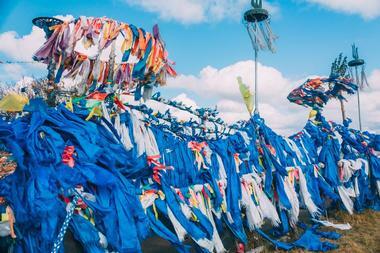 Offerings like milk, vodka, bricks of tea, and a sea of blue ceremonial scarves turn this eerily beautiful place into something like an art installation, and the worshippers who make the pilgrimage to the Mother Tree continue to add to it as tribute for their prayers. 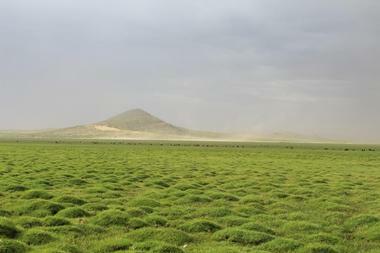 Ögii Lake is located in central Mongolia and is a Ramsar Site of International Importance due to the activity and presence of birds and fish in the lake and surrounding wetlands. 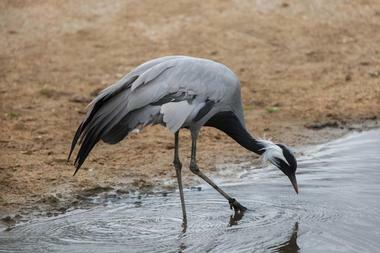 Over 150 species of rare birds call Ögii Lake home at one point or another throughout the year, including pelican cranes, spoonbills, and other waterbirds. At Ögii Lake, visitors can enjoy the beautiful beaches of the shore, go boating on the water, take a hike on the nearby trails, or even ride a horse or camel through the surrounding regions to see some beautiful scenery. The Orkhon Valley is a UNESCO World Heritage Site, known for the archaeological remains found on this huge pasture land, some of which date all the way back to the 6th century, as well as for being the site of Genghis Khan’s 13th century capital. The 27-meter tall Orkhon Waterfall, also known as Ulaan Tsutgalan, was formed by volcanoes and earthquakes about 20,000 years ago. 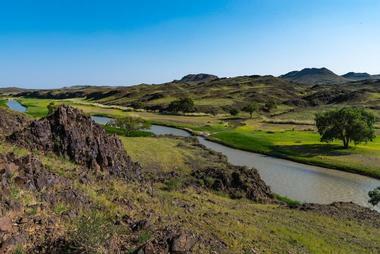 It is part of the Orkhon River, which is the longest river in Mongolia. 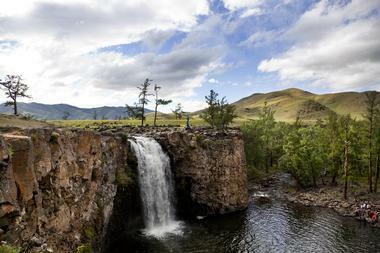 At the Orkhon Waterfall, which is most beautiful during late summer, visitors will find some amazing sights as well as some beautiful hiking through woods, gorges, and boulder-filled paths. 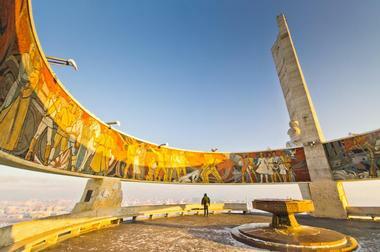 The Mongolian capital of Ulaanbaatar is home to the Zaisan Memorial, a massive and unique monument made of a giant round ring and a tall, thin tower that reaches to the sky and can be seen for miles. The monument was built to honor the lives of Soviet soldiers who died in the second World War and features huge murals depicting the Soviet victory over Nazi Germany and the defeat of Japan during the war, as well as a Soviet tank commemorating the route traveled by brigades leading to the fall of Berlin. 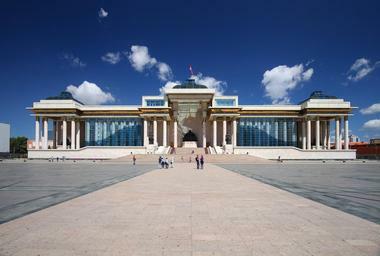 Visitors to Ulaanbaatar can climb the 500 steps to the memorial, where they will find the murals, several exhibits, and a very rewarding view. In the heart of the Bulgan region of Mongolia, about sixty kilometers from Bulgan City, lies the Uran Togoo Tulga Uul Natural Reserve, which is an area of over four thousand acres that includes the sites of several extinct volcanoes. The stunning landscapes of this area are populated by tall trees and unique bowls and rises where volcanoes once stood active. Visitors to Uran Togoo Tulga Uul will find a number of trails and campsites in the Reserve where they can explore the rounded hills and rugged green landscape by foot or by car.